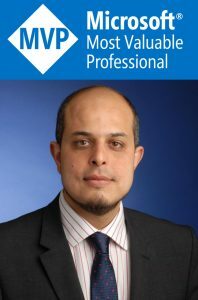 I have recently been asked by one of my clients to take them through a walkthrough / high level training / demo of Microsoft Dynamics CRM Online (also applies to Dynamics CRM 2016). The audience is a collection of Client senior leadership, programme leadership and various business stakeholders. I decided to limit handouts to a single A4 Agenda which lists in a chronological order Dynamics CRM modules, features and functionalities to be covered along with Dynamics CRM navigation, layout and capabilities such as search, filtering, sorting, menu bars, etc. 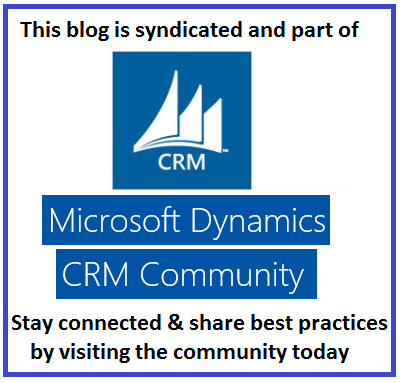 I then thought I’ll share this suggested agenda list with my blog followers to help everyone out if they are looking for a recommended agenda for Dynamics CRM Introduction or basic Microsoft CRM training. It is certainly not an exhaustive list of all agenda items that you could cover and the scope & flow may also need to change from one client to the other. This agenda, however, seemed sensible for my client needs and requirements. The agenda is available as an a downloadable PDF file at the bottom of the post below or you can simply copy and paste it from the following list. Automated Deployment during the development of Dynamics CRM projects implementation is a time, effort and cost saving approach. A combination of MSBuild (MS Build) scripts, batch files and custom built console applications can provide a fully automated Dynamics CRM deployment and development life cycle. 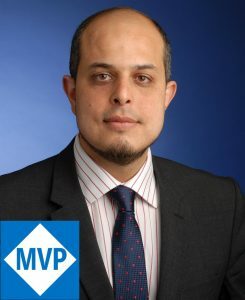 Additionally, Microsoft Developer Toolkit which is released as a free tool part of the Dynamics CRM SDK provides an excellent deployment functionality (amongst many other useful features) but this is the subject of another post about automated deployment using Dynamics CRM SDK developer toolkit : http://www.mohamedibrahim.net/blog/2012/08/09/dynamics-crm-automated-deployment-using-dynamics-crm-developer-toolkit-from-the-sdk/ . 1) Automated Deployment by getting the latest code from Visual Studio (via TFS – Team Foundaion Server) and deploying into a Dynamics CRM organisation on a server (local VM or a development/test server). 2) Export of Dynamics CRM default solution or a specific CRM solution package and importing the solution into another environment or Dynamics CRM server (or organisation). This is also known as Promotion: Promoting a CRM solution from one environemnt (such as Development environemtn) to another environment (such as test). 3) Export a CRM Solution from a CRM Server and then check in this exported solution file (the solution zip file) into TFS for backup or reusage. These are the most commmon automated deployments used in projects but there could be many more based on projects requirements. You will need to create a batch file that calls an MSBuild file which in turn can do the operaton. The reason for using a batch file is that you can then setup a windows scheduled task to run the batch file at your chosen time for running the build. You can also add an auto numbering to the batch file if you want to increment the build number after every build. In this case, you will need to store the last build number in a separate text file. :: Otherwise, call the Visual Studion Command shell. The console application that you can use to import or export a CRM solution will be the subject of another post. I think this post is too long already and I have spent good few hours writing it. I hope this helps. If you have any questions, ideas or feedback please write them in a comment below. If you want the various MSBuild files, batch files, etc then please comment below and I’ll email them to you (I tend to collect requests and send the files to a whole group in bulk). 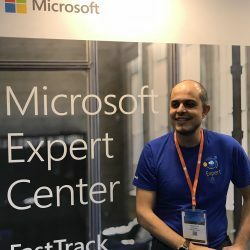 There are (at least) two standard ways of implementing an external ISV web application (website, html, .NET, etc..) inside your dynamics CRM application. The first way is by creating an IFrame inside the form of an entity. This is quite straight forward and can be achieved from the entity customisation section in CRM settings. The second option is to create a link in the left navigation of your Microsoft Dynamics CRM 4.0 solution. This link can then point to your ISV webpage (aspx page for example) and you will have your web page implemented and embedded inside CRM. If you also do the application css (stylesheet file) to be same colours and similar styles as CRM colours and styles, your application will be presented nicely inside CRM as if it is part of CRM. The permission and restriction of access to this web application and its left navigation link is also controlled to show/hide the applications to users. This post is discussing the second option. Embedding a webpage or web application in CRM and having CRM’s left navigation linked to it can be done by editing the sitemap customisation file (xml). This left nav link can be shown or hidden to users based on their security roles and this is also controlled in the site map file. If the link is hidden, then obviously the web application will not be accessible and cannot be retrieved by unauthorised users. This is how you can get site map to control your left navigation buttons and get them to link to ISV applications. Please mind that you might need to change the relative location of your application in the URL parameter. A challenging issue with Scribe is how to move a DTS (job) and source files (in case source is a text batch file) from one location to another or from one server to another without loosing mappings, corruptingdata links, lookup criteria, user variables, loosing fields names and basically corrupting the whole DTS. Again, I have looked online and could barely see any information or help in this regard (probably my mistake as I didn’t search properly!). I found out that the key for moving Scribe project files including source across to a new location or a new server, the key is always the QETXT.ini file. This file is vital for pointing the DTS to which source file it should be looking at. QETXT.ini files have all the field names, so mapping S1 to the name that you have chosen for the first source field. It also has the source file name, the ODBC name and the table name. From there you can do almost everything. When you move the files across, you will obviously need to re-point to the new source location, but by editing QETXT.ini, you will be able to put back all the source (S1 to field name) mappings, point to the new source file name, ODBC name and everything else. This has proved very efficient and have worked now with my whole deployment. One more important piece of advice, always try to get a dedicated folder for every source file. So if you have more than one DTS jobs, make sure that the source for each DTS job is in a separate dedicated folder. This will ensure you have separate QETXT.ini file for each one of them, hence, you can easily update the information inside it. It will still work with one large QETXT.ini file but it’s always better to separate the sources and their associated QETXT.ini files. You can always manually split this file into source specific files and put each source in a separate folder later on (which is what I have done after “inventing” this best practice of having separate source folders! ).